Apparently Internet Explorer (IE) has a problem with Google's Blogger and add-ons (such as the menu widget for the labels, the movie add-on, the pictures add-on, the music add-on, etc., etc., etc. Don't worry, I'm working on it. A friend of mine, Scott, whom I met when he and his dad, Mack, visited us here in Corozal, gave me a temporary fix as well as some links to info on rearranging my code so the problem goes away. Scott said, "Microsoft is notorious for providing error messages that mean nothing but I think I’ve figured it out anyway. It appears IE has a specific problem parsing the page when add-on’s are enabled." Go to Tools->Manage Add-Ons, and disable the Windows Messenger addon." That should be the short-term fix. Longer term is going to require me to move some of my code around so IE thinks that everything is ok. That may take a few days as I try to squeeze it in between swimming, the odd Belikin, walking the dogs, and 3-hour breakfasts, etc. 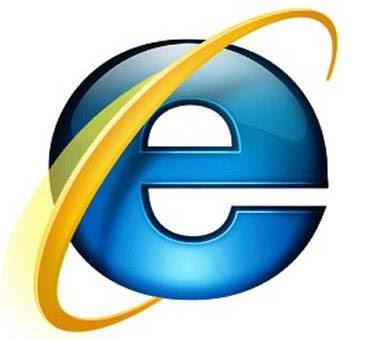 I appologize for any problems this all may have caused any of you who use IE. I'd like to recommend switching to Firefox - but, I won't do that. I'll make another post when I think I've got the problem solved. On another note, from what I've been reading today, IE8, when it comes out for mass consumption, may solve the problem by itself, as in it will deal with the problem the way other browsers deal with it by allowing the code to display as it wants to. We'll see. I'm going to work on changing the code just in case. I'm so sorry that you are having trouble squeezing in working on computer issues between swimming, the odd Belikin, walking the dogs, and 3-hour breakfasts, etc. You can only imagine how my heart goes out to you as you try to deal with this issue from beautiful Belize. I can feel the sympathy from here. This IE problem almost seems like I'm back at work. I was webmaster (as in, the whole web staff) for the state gov't agency I worked at for the last 10 years I was there. I shudda known... Kinda perversely fun. I took your advise and downloaded Firefox. So far I am very happy with it. My computer seems to working faster and I like the features to customize it. Best of all, I no longer have problems reading your blog updates. Uh-oh, I can feel Steve Ballmer breathing down my neck now. Another one lost to Firefox. Well, I might as well tempt the fates and recommend you take a look at OpenOffice.org. I've used that software exclusively instead of Micro$oft Office for years and love it. I also dumped Adobe Acrobat Reader (another bloated behemoth) for Foxit Reader (open source, free, and fast). There's a lot of other free or nearly free open source software that is well supported and works as well (or better) than the mainstream items and won't hit your wallet near as hard. Check out http://sourceforge.net for the largest catalog of opensource stuff. You have to register, but they're not intrusive. Well, enough of all that. I hope you enjoy Firefox. I find it easier to use than IE and less hassle too.